Coltsfoot may be deemed a weed by some but has been used for centuries as a medicinal herb. The plant’s healthful properties not only enhance mammalian well-being but may have potential to influence the vigor of our plants. Using coltsfoot leaves for fertilizer imparts healthful benefits to our green friends when applied as a tea or even as compost. Learn how to make coltsfoot fertilizer as part of your organic garden care ritual. 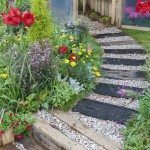 Natural garden care is all the rage due to an awakening desire to keep chemicals out of our water table and the popularity of sustainable gardening. Herbal teas and composts have been traditional methods of fertilizing plants. Feeding plants with coltsfoot tea is just one way to harness the healing and health promoting properties of herbs. It just seems natural that the benefits derived from herbs can translate to strong plants with better vigor. Herbal remedies have been around longer than any other healthful practice. Using herbs as part of healing traditions was the main therapeutic custom of our ancestors. If you look at the benefits of using a compost tea, for instance, it might make you wonder what the benefits of an herbal tea might be on our plants. The benefits of coltsfoot fertilizer include introducing nitrogen to soil as well as enhancing the potassium availability for plants. The nitrogen stimulates leafy growth while potassium promotes stronger plants. This makes for healthier, greener crops and an abundant harvest. As two of the macro-nutrients needed by plants, the double punch is a real health enhancer. Many other herbs are beneficial when used as plant fertilizer, but coltsfoot is easy to grow and has sticky texture that breaks down easily. The flowers are the first to form on the plants after they overwinter. Leaves soon follow and these are round to heart shaped, palmately veined and resemble the appendage for which they are named. Pick the leaves in June to July when they are full sized. You can simply lay the leaves around the root zone of your plants to compost in naturally and release nutrients or dry coltsfoot leaves for fertilizer, crumble them and mix them into the soil. A more efficient delivery method is by making an herbal tea. Place shredded leaves into a container and weight them down. Add enough water to cover the leaves. Cover the container and stir the mixture every day. Let the leaves soak for at least a week. Strain the mixture and you now have a potent organic coltsfoot fertilizer. Now that you have your organic coltsfoot fertilizer, you need to know how to use it. There is very little danger of burning plant roots with this type of natural brew, but dilution is still necessary. To feed new plants, mix a dilution of 1 part tea to 9 parts water for the first feeding. Once they are established, you can continue feeding monthly with a ratio of 1:2. For well-established plants, use a dilution of 1 part tea to 6 parts water in the spring and subsequent monthly feedings of 1 part tea to 9 parts water. 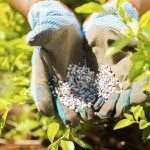 Suspend fertilizing by late August to prevent encouraging new growth before winter. 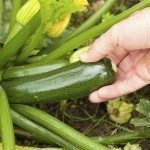 As with any fertilizing, the nutrients will reach to roots of the plants best in soil which has had plenty of organic matter worked into it. Hard, clay soils should be amended annually until they are rich and deep loam. Using coltsfoot leaves for fertilizer couldn’t be easier, cheaper or more natural. Try this herb or make your own formula using any number of health enhancing plants.